They worked very quickly and efficiently. They finished on time, and I have had no problems since they did the work. I would say Charlie was prompt, knowledgeable, and personable. He got the work done, and I haven't had to have him come back again to fix it because it has continued to work well. Other people should use him. The first thing that impressed me was that Charlie called me back promptly. I didn't have to wait for days for a call back or have to wonder whether he received my message. He also handled himself in a very professional manner. They were very prompt, they did an excellent job, and they had a very reasonable price. I was very satisfied. I would call them in a heartbeat if I needed work done again. They were very clean, they were able to get the job done quickly, and they were professional. 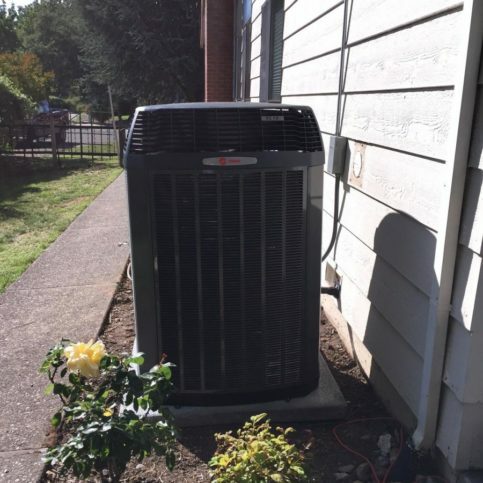 Next Level Heating & Air Conditioning Inc provides a variety of services that are designed to improve indoor air quality for residential and commercial clients in Marin and Sonoma Counties. 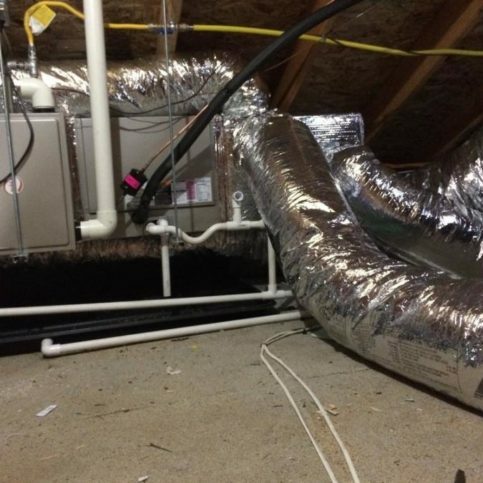 In addition to cleaning ducts and installing air purification products, the company has the training and equipment to service, repair, and install all types of HVAC systems. 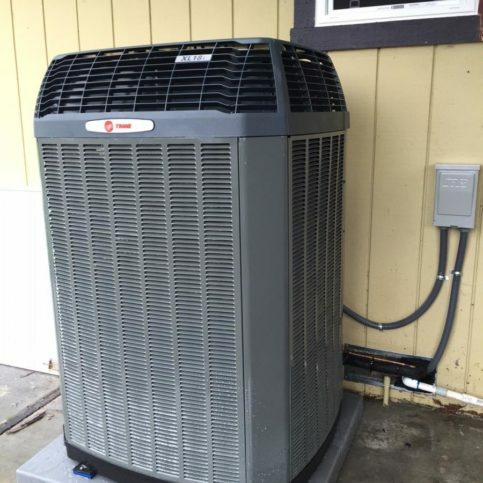 Next Level Heating & Air Conditioning provides services that are designed to improve indoor air quality for residential and commercial clients in Marin and Sonoma Counties. In addition to cleaning air ducts and installing a variety of air purification products, the company has the in-house capabilities to service, repair and install all types of HVAC systems. 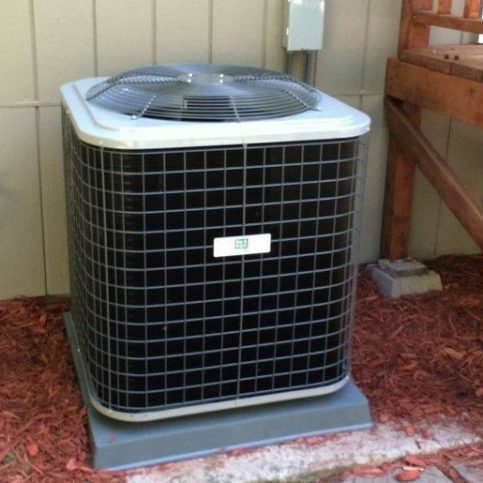 A: I exclusively use Trane equipment. I’ve always found their products to be dependable, they have a great track record in terms of consumer reports and they offer some of the longest warranties in the industry. Q: Do you offer an ongoing maintenance program? A: Yes, my ongoing maintenance program includes an annual 54-point inspection, which allows me to ensure your HVAC system is functioning optimally. Q: Will someone answer the phone when I call? A: Yes. I have an on-call phone system, which means I’m able to answer calls 24/7. When a customer calls, I make it my first priority to be available for them. Q: Do you charge a diagnostic fee? A: No. I believe I shouldn’t make any money unless a service has been rendered, so my estimates are always free. 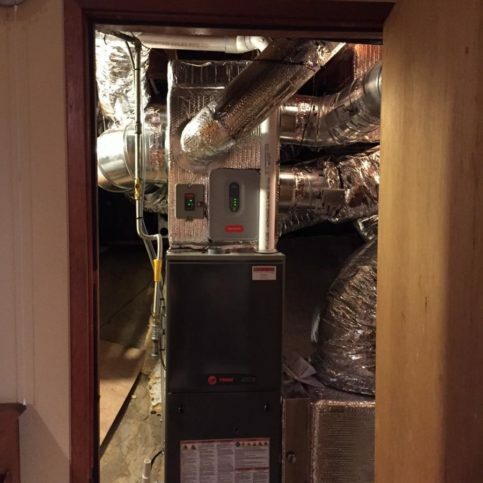 Next Level Heating & Air Conditioning converted an electric baseboard heater into this furnace and air conditioning system. 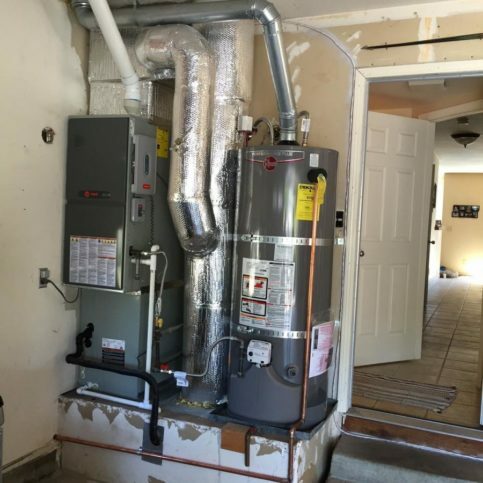 Next Level Heating & Air Conditioning added this air conditioning system onto an existing furnace in Rohnert Park. 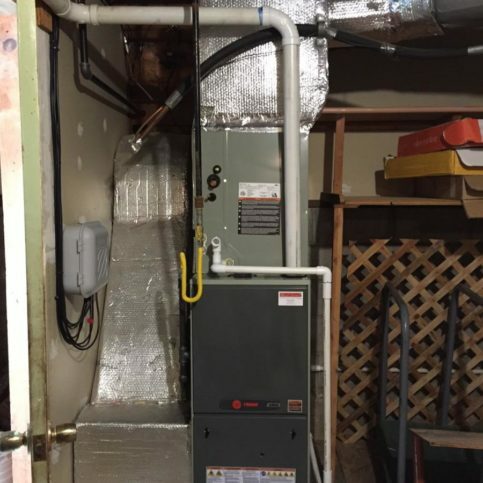 Next Level Heating & Air Conditioning installed this furnace and air conditioning system in a new construction home in Lakeport. 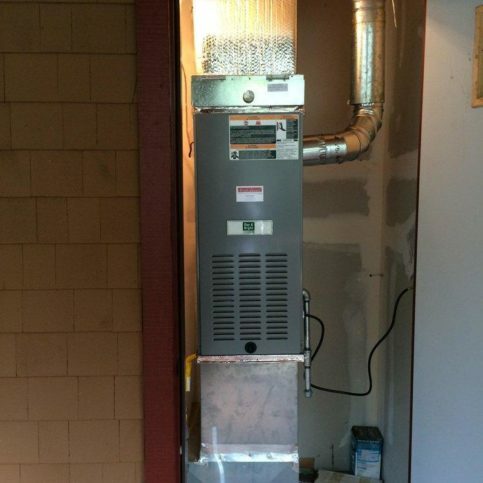 This photo shows the midway point of a job that involved replacing an old furnace with a brand new water heater. Charlie Nelson is owner of Next Level Heating & Air Conditioning Inc, a Diamond Certified company. He can be reached at (415) 801-4067 or by email. A lifetime resident of the North Bay, Charlie resides in Santa Rosa with his wife, Sarah, and their five children. “I enjoy the down-to-earth character of the people here,” he says. “Pretty much everywhere you go, you can say, ‘Hi’ to a complete stranger, and they’ll say, ‘Hi’ back. I also love the mild climate…even though it’s not really ideal for my business,” he laughs. Outside of work, Charlie keeps busy with a variety of family activities. “My kids all play baseball, and I coach their little league teams,” he says. “It takes up a lot of my time, but there’s no greater joy than seeing my kids progress and gain more confidence with each passing season.” In addition to team sports, Charlie and his kids enjoy building and playing with remote-controlled hobby cars, as well as outdoor activities like hiking, bicycling and camping. A: I have two: The San Francisco Giants and the New York Giants. A: I’d probably go to the past and start doing heating and air conditioning a lot sooner, just because it took me a while to find my professional niche. SANTA ROSA — When it comes to improving indoor air quality, a lot of people think simply changing their air filters or upgrading to a high-efficiency filter will do the trick. In reality, you have to remove dirt before you can keep something clean, which is why an even more important step is having your air ducts cleaned. A professional duct cleaning can remove up to 97 percent of the dirt and allergens in your home, which improves air quality and increases the effectiveness of filters and other air quality products. 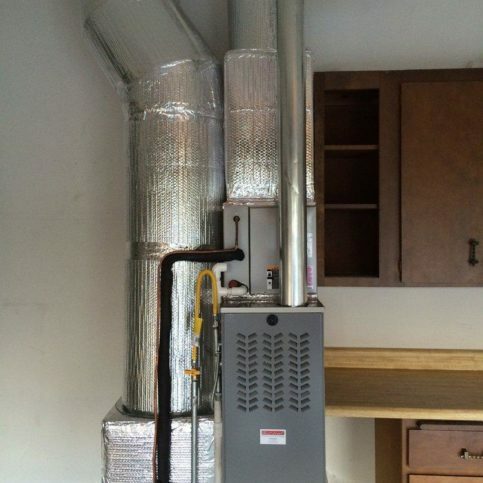 To illustrate how critical duct cleaning is, consider the example of house cleaning. If you’re like most people, you probably perform a deep cleaning in the spring, which means all you have to do for the rest of the year is maintain it. 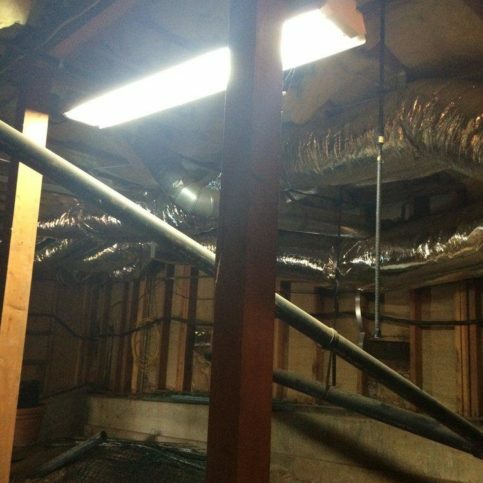 In regard to this example, duct cleaning represents that initial deep cleaning, and your filters and other products represent the ongoing maintenance. So, if you can’t remember the last time you had your ducts cleaned, contact a licensed professional to perform this vital service. SANTA ROSA — Host, Sarah Rutan: If you’re concerned about the air quality in your home, one maintenance aspect you shouldn’t ignore is having your air ducts professionally cleaned. Today we’re in Santa Rosa with Diamond Certified Expert Contributor Charlie Nelson of Next Level Heating & Air Conditioning to learn more. Diamond Certified Expert Contributor, Charlie Nelson: Something you may not have thought about is the importance of duct cleaning. Duct cleaning is 100% important to the indoor air quality inside your home. A lot of people think that just changing their filter, or maybe putting — introducing some type of non-invasive filter or electronic filter or something like that does the trick. But you have to actually remove the dirt before you can keep something clean. So picture your home: When you clean it, you have a deep cleaning in April where you clean your home top to bottom and then all you have to do is maintain it for the rest of the year. 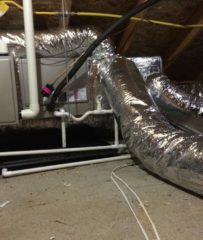 Picture that duct cleaning as the cleaning in April and the — your filters and indoor air quality products are just kind of maintaining that so that way you can live in your home comfortably. And you can actually remove up to 97% of the dirt and allergens out of your home by doing a simple duct cleaning and introducing some indoor air quality products into your home. Next Level Heating & Air Conditioning Inc : Average 9.7 out of 10 based on 31 unique customer surveys of customer satisfaction. They are professional, on time, and very thorough. I liked their communication and punctuality. They found the problem right away and repaired it. They do a very good job, they're very knowledgeable, they're very professional, and they do a quality job. I liked working with the owner. He's very straightforward, honest, and friendly. I would say that Charlie provides fast, courteous service. We liked that it was convenient for him to come to our house at a time that worked for us to be there also. They were very quick to get back to me, and they did a good job. I liked that they were able to fix my heater. They were timely, efficient, and knowledgeable. They are very efficient, reasonable, and professional. I thought that the best thing was how they were very detail oriented, conscientious, and knowledgeable. I liked that the pricing was reasonable. They were on time, and they got the job done on time. Charlie is honest, forthright, and fair. I like that Charlie is honest and forthright. It was a wonderful experience. I would recommend them. They are professional, on time, and they know what they're doing. They were very responsive, quick to get the job done, and they have a very competitive price. Charlie is honest. He has good pricing, and we've been very happy with the quality of his work. We really like the pricing and the quality of the work. Everything has been perfect. I would say that Charlie seems like an honest person who tries to do what is best for his clients. I was really grateful that Charlie looked over my entire system and found a few things I didn't even realize needed attention. He had to come back a couple of times to complete the work because of these unexpected things, but I appreciated his taking the time to really examine the whole system and fix everything. I thought he was great. They are very detailed, thorough, and responsive. I've actually recommended them to my friends. They are very honest and reliable. I was impressed by their quick turnaround time. I would say that Charlie was very professional and very good explaining everything to me. He described what he was doing at the time and answered any questions that I had. I liked how easy Charlie was to work with. I was very pleased. I thought Charlie, the owner, was fabulous. They actually follow through on their promises, they keep their agreements, and when I had a minor issue, they came back the very next day. They were very nice, friendly, and trustworthy. I can't emphasize enough how very knowledgeable they are. The work was just fabulous. They are by far the best company to go with. 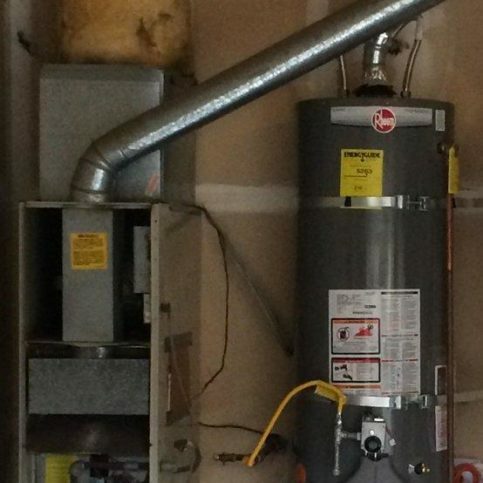 I've had my share of horrible heating and air conditioning companies in the past, so I really took a chance when I hired Next Level Heating & Air Conditioning. I was in shock that Charlie had an answer for everything. He's the real deal, and he is just terrific. I would recommend them and keep recommending them to anyone who will listen to me. They have an excellent price, they stick to their original estimates, and they have amazing quality. I thought it was sweet that while Charlie was here. He never badmouthed the other crappy heating and air conditioning work that other companies had done. They're professional. They came to my home on a Sunday, and they provided excellent service. I like the quality of their work and that they are very affordable.